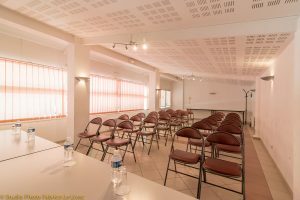 – 50 people for the meeting room “Park I” with a surface of 60m2. 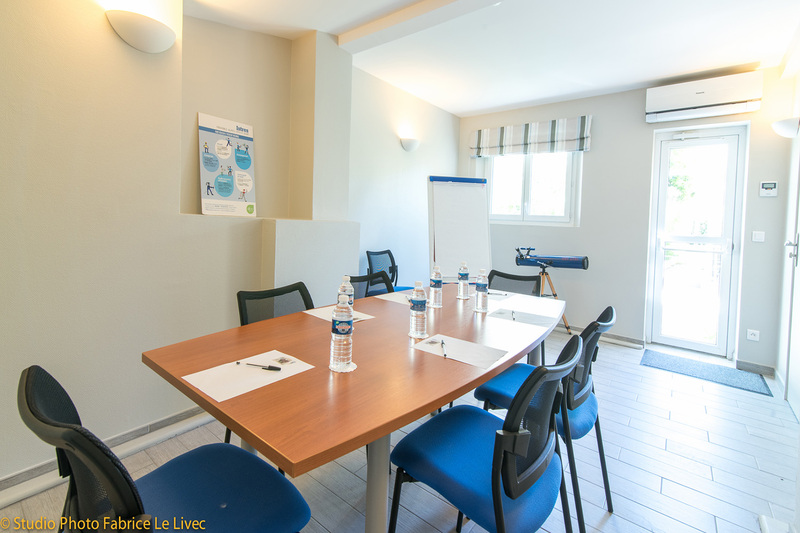 It can be organized for conference or meeting according to your needs. This room gives an access to a shaded terrace where it is pleasant to take breaks. – 6 people for the meeting room “Patio” with an area of 15m2. This room has direct access to our lounge for autumnal and wintry days, or to a shaded and comfortable terrace for spring and summer days. We also offer you the possibility to combine your seminaries or your meetings with our restaurant and hotel. Therefore, your collaborators and you can ally work and leisure, by taking advantage of our direct access to the fine sandy beach on the Mediterranean Sea.